Today was race 42 on our way to 52 races in 2015! I’m sure you’ve been following along, and I’m sure you know we’re raising awareness and funds for the GBS/CIDP Foundation. If you’re new to our fundraiser, it’s easy to get onboard: just head on over here. 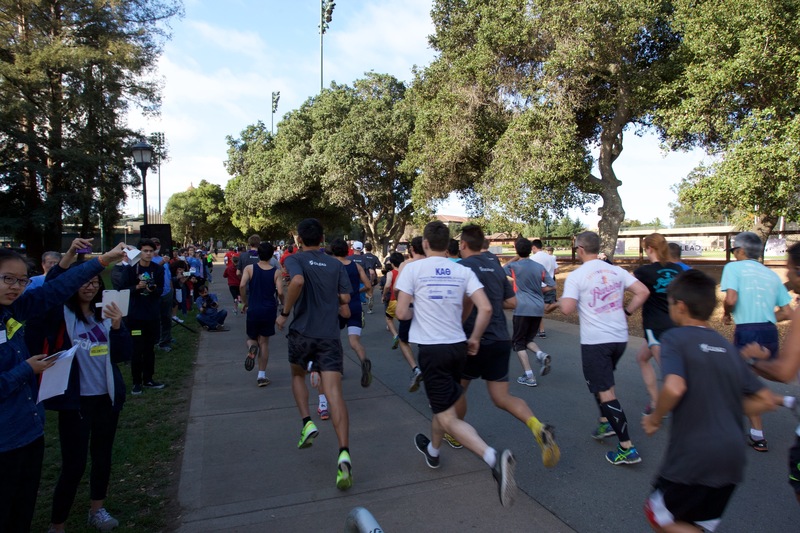 Today we ran in support of the Stanford Race against Pulmonary Hypertension (PH). I learnt about PH today, and it’s one of those conditions (similarly to GBS) that’s hard to diagnose, not well understood, and needs medical research and raised awareness. I felt good running for a cause, and also raising the awareness for our cause too. It’s also fun to run around the magnificent Stanford campus! We also ran yesterday, and the body was a little bit tired from that and Halloween celebrations last night. So, no records were smashed today, though we did pick up the pace toward the end. Out of the 750 finishers, we placed 96th and 97th. Not too competitive, but faster than a jog for sure. Well, that’s 42 races in the history books. That means there’s only 10 races to go — join me in counting them down, and counting down every dollar toward our goal of $52,000! Previous PostRace #41: ZombieRunner Halloween 5 milerNext PostUpdate: 42 races and $43,000+ raised!